An ‘actionable’ IT service catalog. It’s been fascinating over the years to watch the network architecture pendulum swing back and forth. First, networks were organized around a mainframe with what were then called dumb (now more respectfully referred to as thin) clients. Then we moved into the client/server era, where users revolted at the dictatorial manner of many MIS departments and formed their own smaller networks for their workgroups. This gave users control over the experience that they had never had previously. Later, realizing that client/server architectures often complicated collaborating across multiple offices and/or geographies, there was a new move to re-consolidate networks, which is still underway today. However, business users have made it clear that even with re-consolidated networks, they expect to keep control over provisioning users, managing their groups and assigning their devices in an IT service catalog. Concurrently, IT teams continue to struggle with identity and access management processes that meet users’ needs while also addressing the explosion of unstructured data they must manage in an IT service catalog, increased cyber security threats and the BYOD trend combined with less staff and smaller budgets. One recent survey noted that more than half of respondents estimate 50-100 percent of the enterprise’s data is unstructured, two-thirds claim that once a data request is submitted and approved, it can take their IT teams more than half a business day to manually fulfill the request. IT leaders and users alike realize today there are specific functions best left to IT professionals, such as network security, while others that users can and should manage themselves through self-service business services catalogs, identity and access management, for example. Technology and market forces are creating a pareto optimum situation; i.e., one where each party focuses on tasks it is best suited to complete. Clearly, expecting a series of network administrators managing multiple client/server networks around an organization to implement an effective enterprise risk management strategy is ridiculous. That function belongs in a centralized IT environment. Conversely, a situation where IS people dictate basic activities such as who can form, add to, delete from and manage groups wastes time when operating teams can easily and more efficiently handle these responsibilities through self service group management. Avatier’s success to date is built on enabling organizations where managers are eager to maximize efficiencies, focus talent on activities best suited to their abilities and creating an environment characterized by innovation, productivity and collaboration. 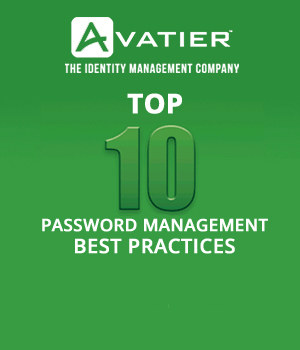 Many managers have found this efficiency in Avatier’s IT service catalog, an actionable business service catalog returning identity and access management to the business user. 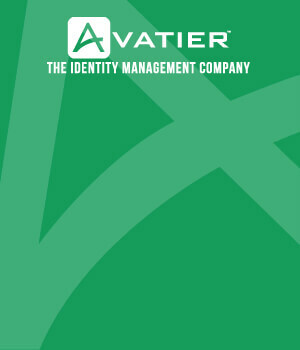 Just like the baseball player who makes turning that double play look easy, Avatier identity and access management solutions are invisible to the user, allowing them to focus on addressing business issues and making their organization profitable. A successful Service Catalog roll-out requires careful planning, strategic decision-making and innovation. Before you start your ITIL service catalog initiative, learn from industry experts. Sidestep challenges that derail projects. Get our Top 10 Service Catalog Best Practices — The proven guide for successful implementations. ← Bring Your Own Identity and Access Governance?